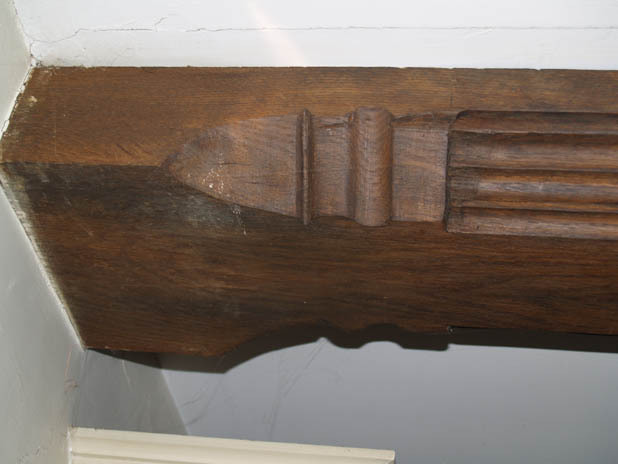 An example of our oak beams which have fooled a conservation officer. 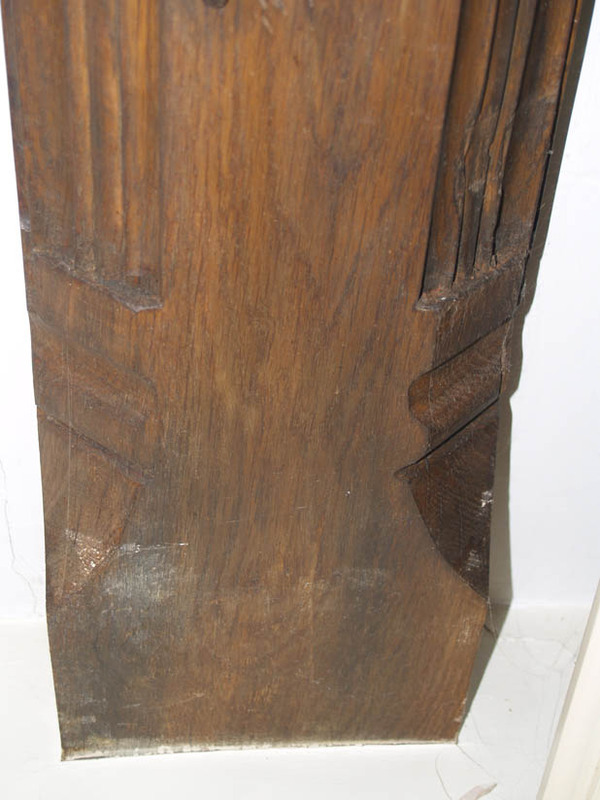 The pattern was copied from an original18th century beam. 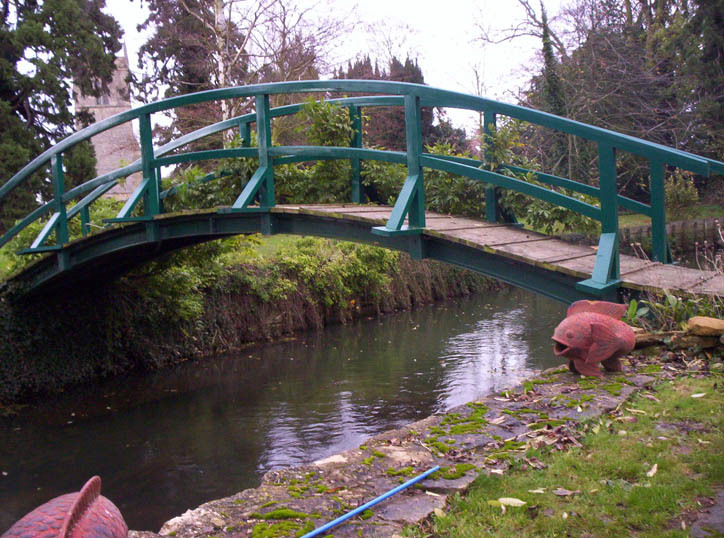 A replica of the "Monet" bridge spanning some 46ft of the river ouse. 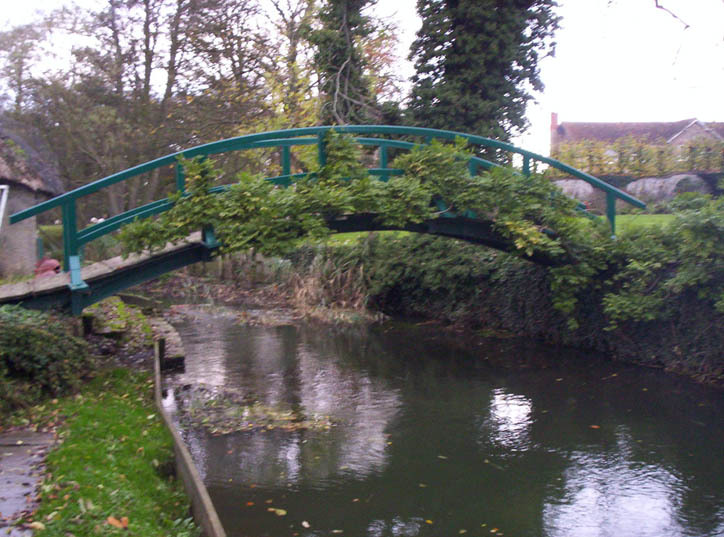 Such was the detail that we even planted both white and purple Wisteria to grow through the ballustrade. 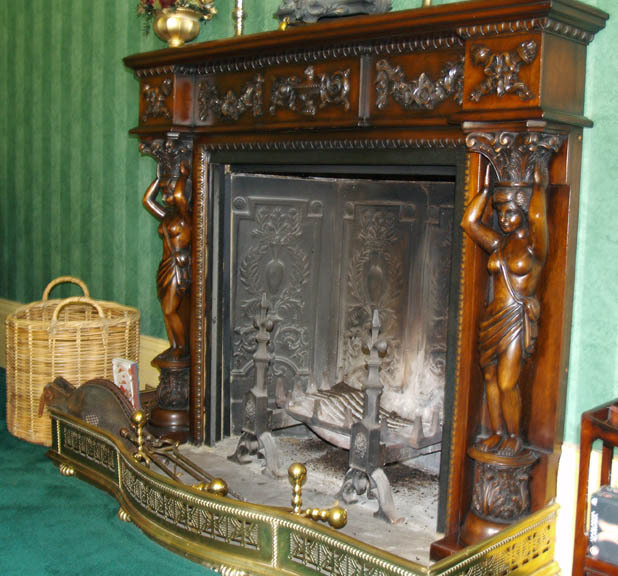 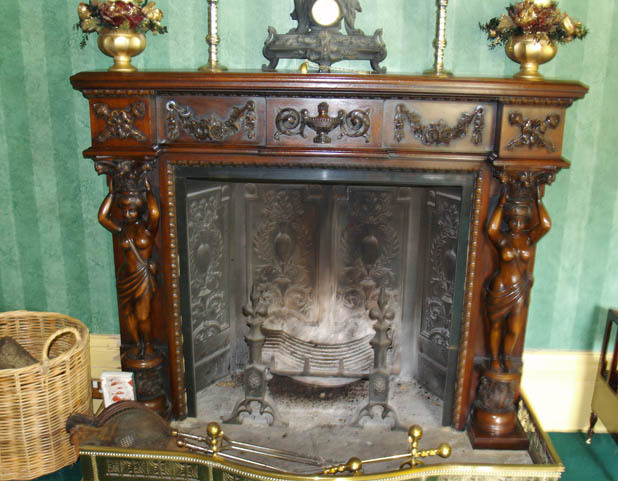 We also supplied the cast iron lining, the fire dogs and basket to complete this working fireplace. 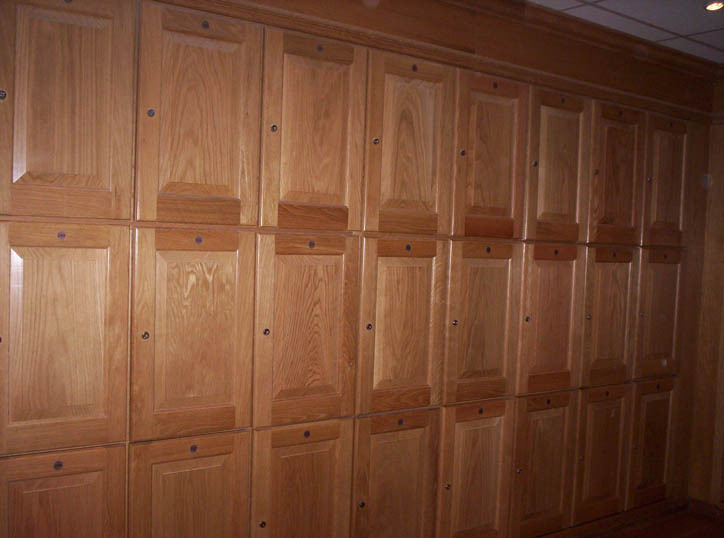 Poolside lockers in American White Oak. 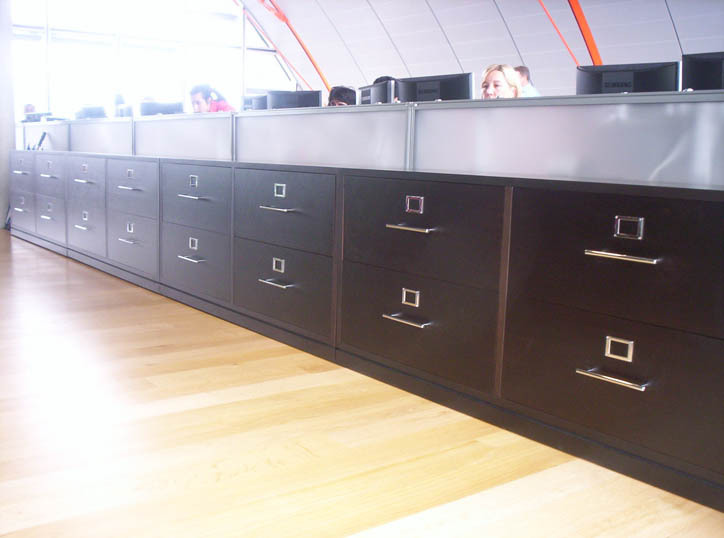 Capacious office filing and integrated desking. 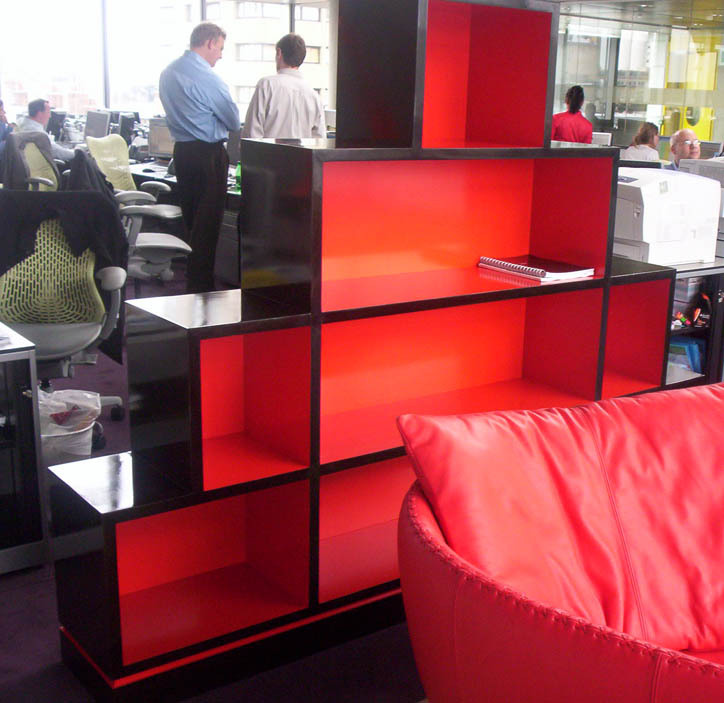 A pyramid book-case for an office reception area.